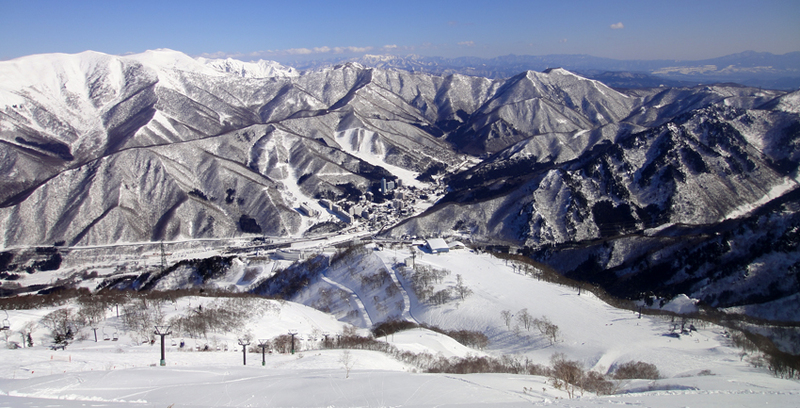 Naeba is one of the most well-known and loved ski and snowboard resorts in Japan. Located just two hours away from central Tokyo, it makes for a fine long-stay ski holiday as well as a place to get in a day trip! Naeba hosted Japan’s first ever FIS Ski World Cup in 1973 and since then has gone on to host numerous other FIS ski, snowboard, and freestyle world cups. 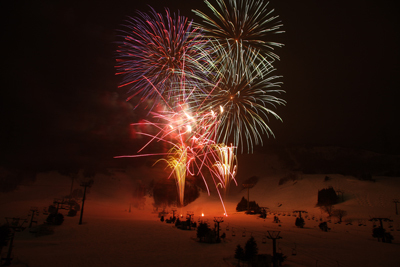 The 2016 Alpine Skiing World Cup was held on the slopes of Naeba between 12th-14th February 2016. 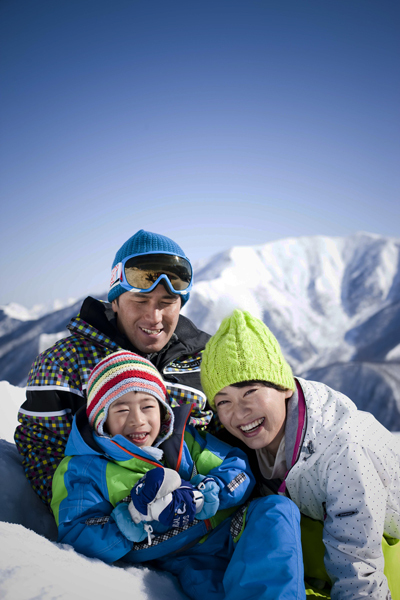 Directly in front of the large Naeba Prince Hotel (more information below), the ski resort offers a wide range of courses and activities designed for the whole family and varying skill levls. There are fun beginner slopes for children, challenging trails for advanced skiers, as well as two large freestyle terrain parks, a children’s terrain park and also a ski cross course. 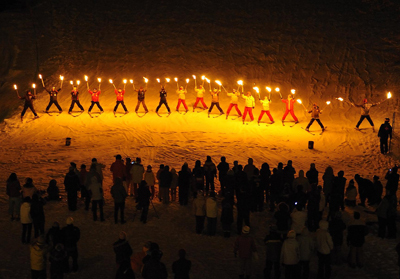 At night, the slopes in front of the hotel are beautifully illuminated for night skiing. 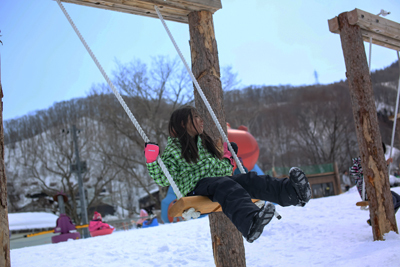 The fun doesn’t stop at Naeba though - the 5.5 km Dragondola connects Naeba with the neighboring Tashiro area of Kagura ski and snowboard resort. Together, Naeba and Kagura form 'Mt. Naeba'. Kagura by itself is another large-scale ski and snowboard resort with numerous runs, expansive terrain parks and is well known for it's snow conditions, amazing backcountry terrain and long season until the end of May. 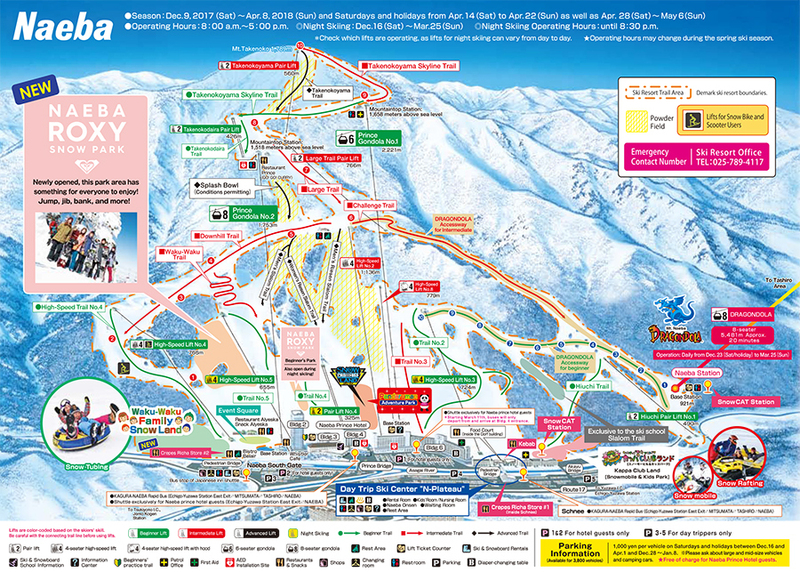 A combined lift ticket for Mt Naeba is available. 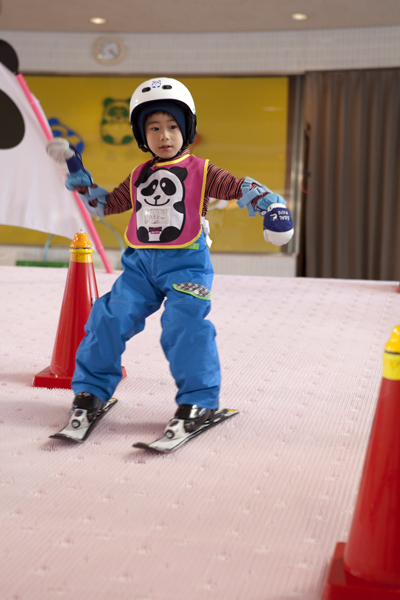 Since the 2011 season, Naeba has been home to the world’s first combined indoor and outdoor ski program for young children called 'Pandaruman' which allows children to get accustomed to skiing in a safe and warm indoor environment before moving onto the outdoor slopes. 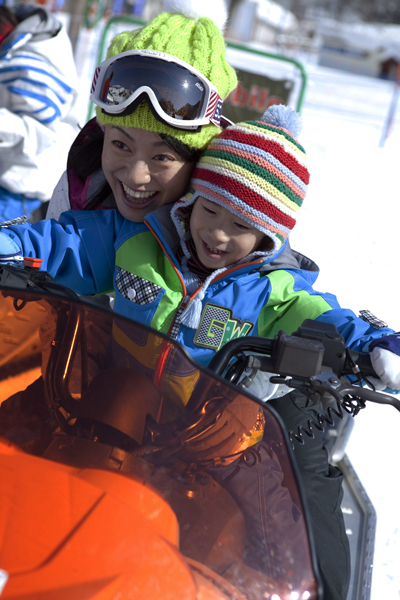 There are also plenty of other activities at Naeba including a family orientated snow-play area with snow tubing, snow rafting, and snow train rides, as well as a snowmobile riding park. Non-skiers can also use the Dragondola to experience the regions beautiful winter scenery during the 20 minute ride. 'Nighta' is from Saturday 15th December 2018 until Sunday 24th March 2019, until 8:30pm. Please note: All dates are subject to change due to weather and snow conditions. Splash Bowl 1410m 1270m 140m 200m 45° 35° 50-80m Top advanced! 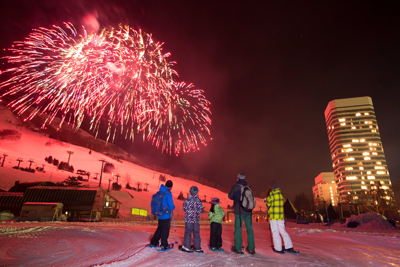 Naeba Prince Hotel is located right at the base of the ski hill offering ski-in ski-out access to the slopes. For more information on the Naeba Prince Hotel please view the information on SnowJapan or the hotel website. Naeba is located in Yuzawa Town, Niigata Prefecture. 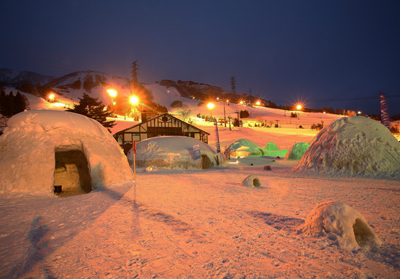 The resort is about 30 minutes from the central area of Yuzawa town. Take the Joetsu Shinkansen train direct from Tokyo Station to Echigo Yuzawa Station, which is in central Yuzawa Town. The train usually takes around 70-85 minutes depending on which train service you take. From Echigo Yuzawa Station, take the shuttle bus direct to Naeba. This bus journey usually takes around 40 minutes. The following bus is free and exclusively for Naeba Prince Hotel guests. The Tsukiyono IC of the Kanetsu Expressway (toll road) is about 33km from Naeba and the journey takes around 50 minutes on Route 17. The Yuzawa IC of the Kanetsu Expressway (toll road) is about 21km from Naeba and the journey takes around 35 minutes on Route 17. There are a number of different ski and snowboard equipment rental options available at Naeba. Open from 15th December 2018 until 31st March 2019 from 7:45am until 5:00pm. You can swap around equipment during the day and try different makes and styles. 7:45am until 5:00pm (until 8:30pm when nighta). Number 4 Rental - Open from 8th December 2018 until 31st March 2019 - 7:30am until end of nighta. Number 6 Rental - Open from 21st December 2018 until 10th March 2019 - 7:30am until end of nighta. All facilities open until the end of nighta when nighta is available. 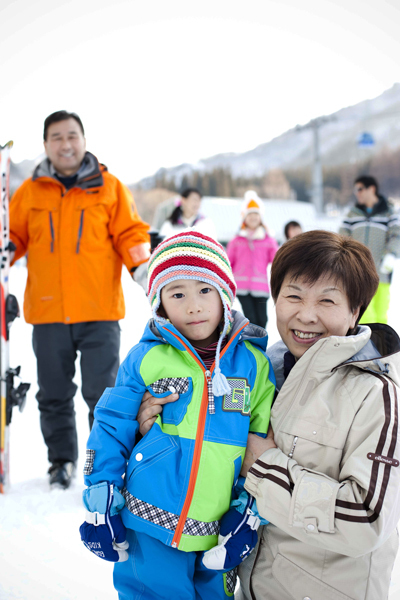 If you are a beginner or just wanting to improve your skiing or snowboarding skills, you can take lessons in English and other languages while at Naeba.